Lunch breaks can mean a big bowl of cheesed drenched chili or a tray filled with studded platform booties. Again, we are reminded why life’s little pleasures can be compartmentalized in seamlessly erected splices of elegance. The web was buzzing Monday with two major announcements that involve some of the most savvy and talented entertainers of our time. 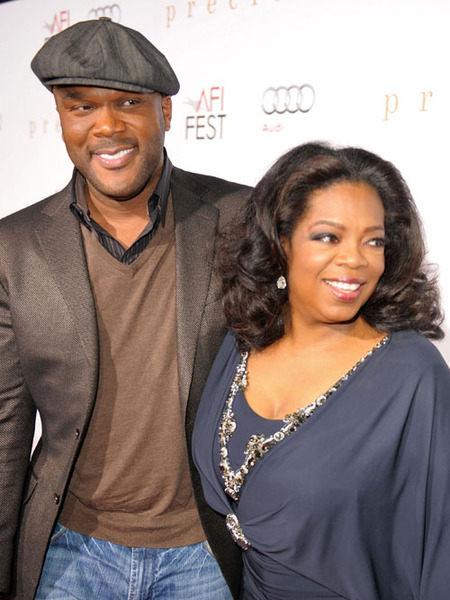 First up is the delectable partnership that probably has been in the works for some time now, OWN, the network owned by TV legend Oprah Winfrey, has solicited the genius of Hollywood mogul, Tyler Perry. All hail the Queen! Designer British designer Vivienne Westwood always her pieces laced with patriotic symbolism and after the London Olympics, we can totally see why she is stir crazy for her homeland.